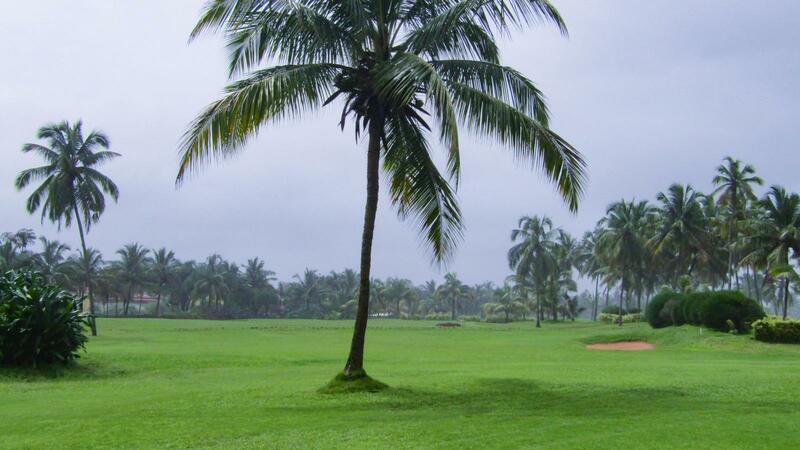 “The Goa Golf Green” is truly a Links Golf Course and is the first in the country. It lays along the rolling white sands of CANACONA beach with a very majestic backdrop of French-designed 255 rooms & 10 Villas with private pool, The LaLit Golf & Spa Resort Goa sprawling between two somber hills with the landscape fading into a milieu of coconut groves. Designed by Col KD Bagga, a great disciple of Alister MacKenzie the master golf designer, this Links land-type sculptured golf course is a masterpiece of gentle meandering features with unobtrusive mounds and the fairways that flow into nature as if the wind had played upon it and tumbled it about before the turf had bound it down. 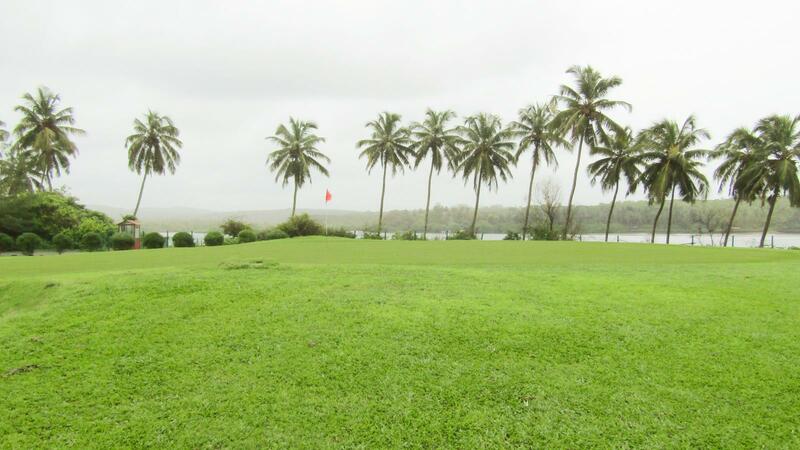 The Goa Golf Green is a 9-hole golf course with 27 Gents (Blue, yellow, white) and 9 Ladies (red color) tees playing to Par – 36 from each set of tees to measure 5854 yards for the 18-hole game. 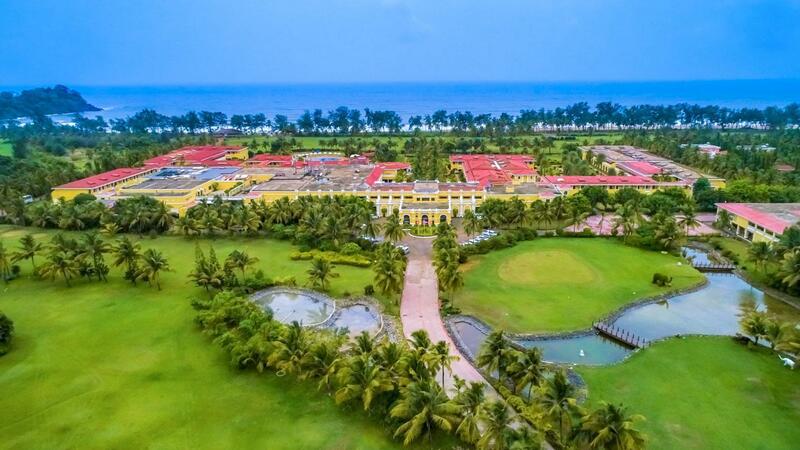 It is Golfers paradise with fairways flowing along the Arabian Sea and four of the greens opening a panorama of breathtaking blue waters and white sand of Rajbaga. 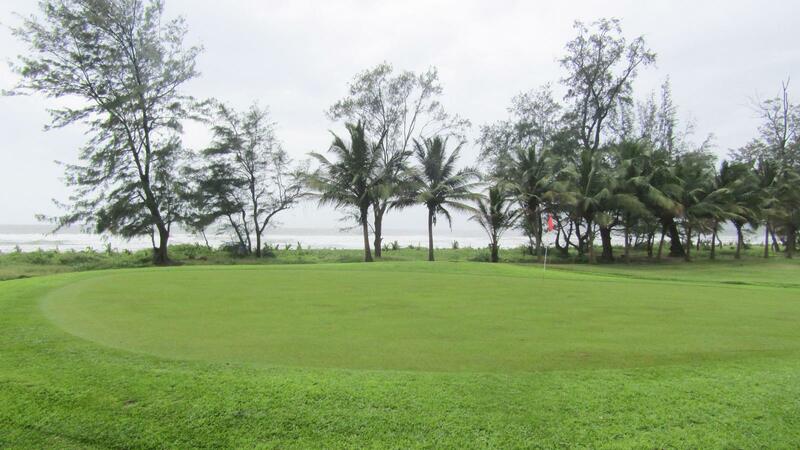 This international standard golf course is playable year-round. Here the seasoned golfers, as well as the enthusiastic novice, will thoroughly enjoy playing this challenging yet friendly, fair and aesthetically pleasing golf course. Sometimes the strong and swirling sea winds will make the selection of clubs a nutty problem and competing factor at many holes.